As of this typing, I’m already here in our hotel room in Korea! We arrived at Incheon Airport (Korea International Airport) at around 8 this morning and reached our hotel around noontime, but I’m not writing now about our Korea trip. 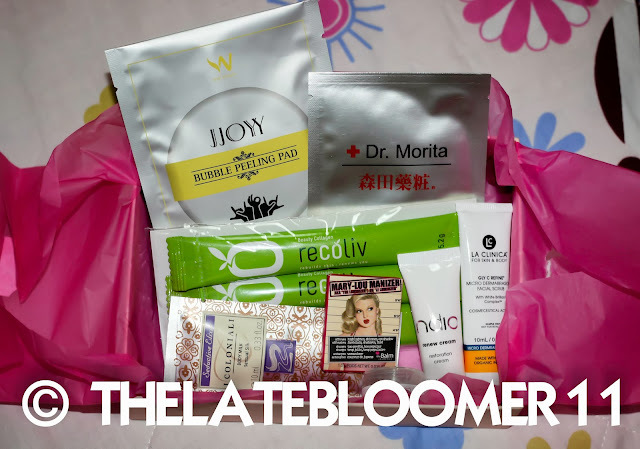 This post is about my September Bellabox! 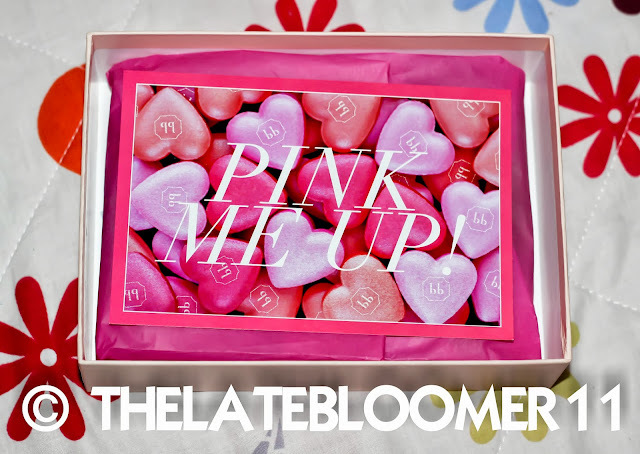 I’m excited to share with you the samples I got from my Pink Me Up! box. Why? Well, not only did I get wonderful and fab items, I also got a bonus eye mask and I receive a total of 8 fantabulous deluxe samples. Yes, 8!!! I seriously can't contain my happiness. One more thing, this box and its amazing contents arrived just in time for my Korea Trip. Double Yay! I'm a true believer of the power of samples. Not only do samples help me save a lot of space in my luggage whenever I’m travelling, samples also help me discover new products to love. Product samples are always a life saver. So without further ado, let's start with the unboxing! No more going for facials just for the micro-dermabrasion machine! 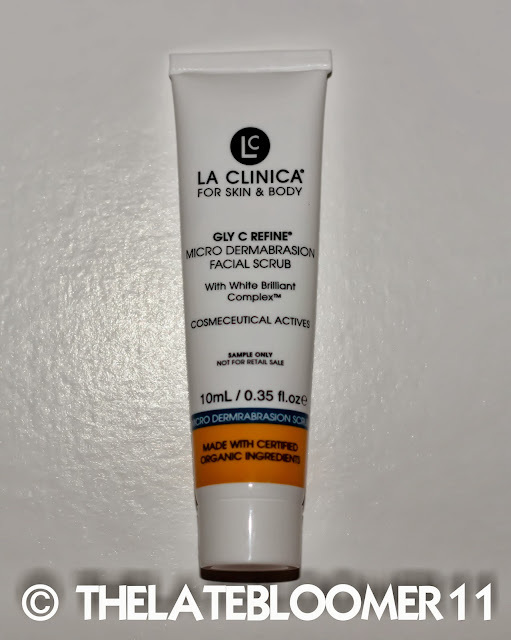 La Clinica’s Gly C Refine Micro Dermabrasion Facia Exfoliating Scrub is your superb home skincare remedy for a smoother and softer skin. Scrub your grub away to make way for a brighter and radiant complexion! My Reaction: I went ecstatic at the sight of this sample! Why? Well, I was actually having a hard time deciding if I’d be bringing my (full-size) Origins Modern Friction dermabrasion with me to this 6-day vacation trip (Korea) and just when I thought I got no choice but bring it, I opened my Pink Me Up box and voila! Bellabox sent me a deluxe sample of LA CLINICA Micro Dermabrasion Facial Exfoliating Scrub. I can’t be happier when I saw this in my loot, and so there it went to my luggage. 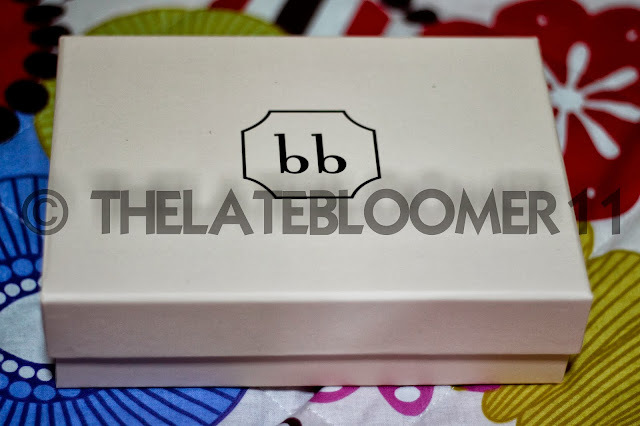 I haven’t used it but I plan to write a review about it after using it for maybe a good two weeks. Drink your way to youth! 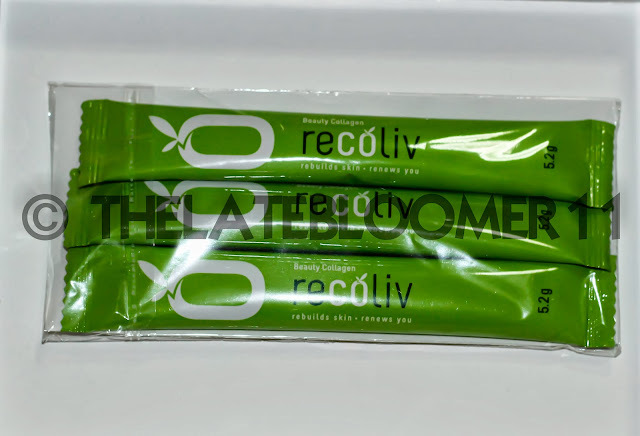 An all-natural product, recoliv’s Beauty Collagen comes in a unique blend of German collagen, French olive & red grape extract. 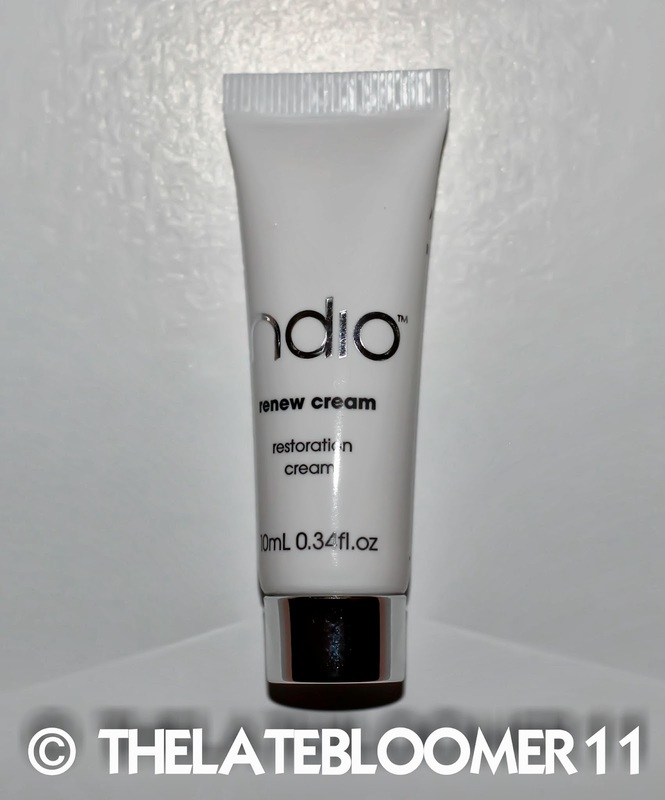 Pleasant in taste and conveniently packed, it is enhanced with potent antioxidants that will improve your skin’s elasticity and reduce wrinkles. My Reaction: Since I got hooked to teas (check out my rave review on Twinnings Tea), I easily get attracted to health drinks. This is the first time I heard of Recoliv. 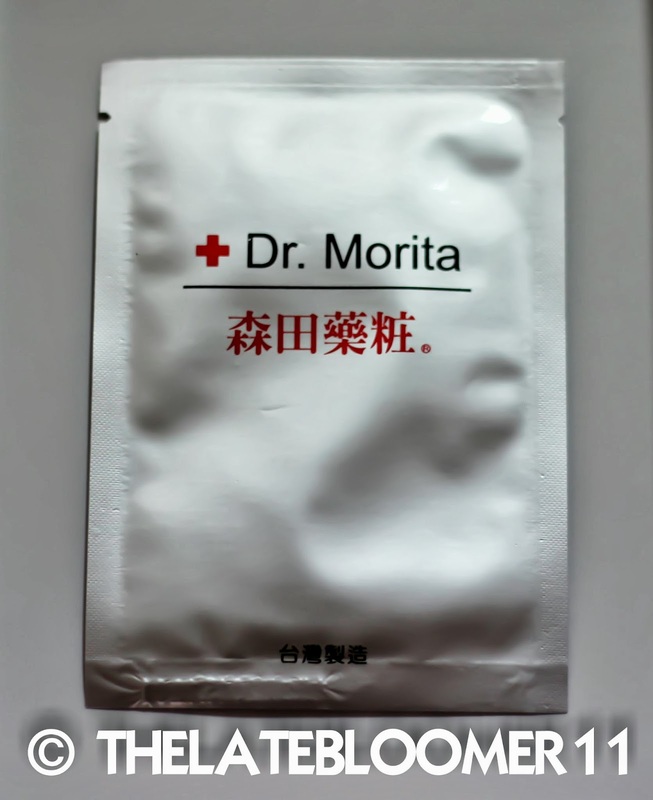 I know absolutely nothing about it before I saw it in my box, but I didn’t think twice in putting it in my bag – I brought two sachets with me here (Korea) because we’ll be here for 6 days, so might as well bring some health drinks with me. Oh yeah! 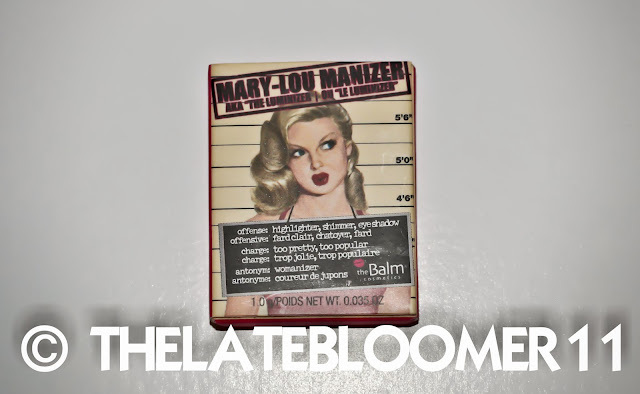 Blended with shea butter and coconut oil, up your gorgeous and flawless rouge game using this lip polish. 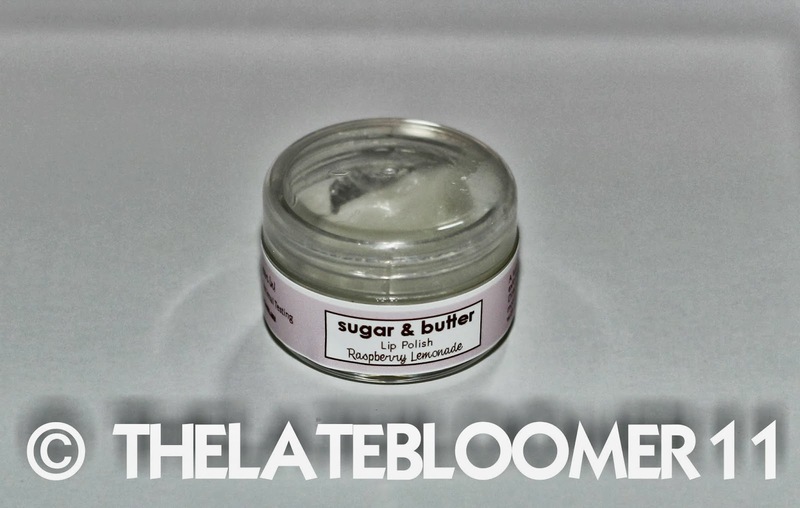 With a name and ingredient list that is almost too sweet to miss as a dessert, exfoliate and wipe away to unveil a set of yummy-looking sugar lips! My Reaction: I was overjoyed when I saw this! 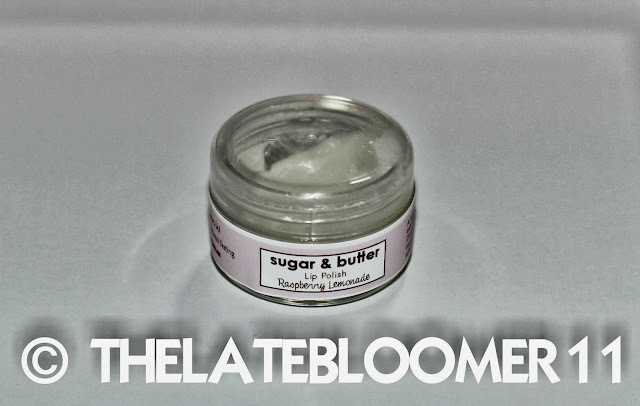 I’m used to my homemade lip scrub (sugar and honey or sugar and olive oil), but you know sometimes it’s nice to treat my lips to some branded lip scrubs and butters once in a while. I’ve been meaning to get one from LUSH for the longest time but the price just always gets me to think twice. Anyway, I’m in total bliss right now because of this sample which I also brought with me here in Korea. Yay! 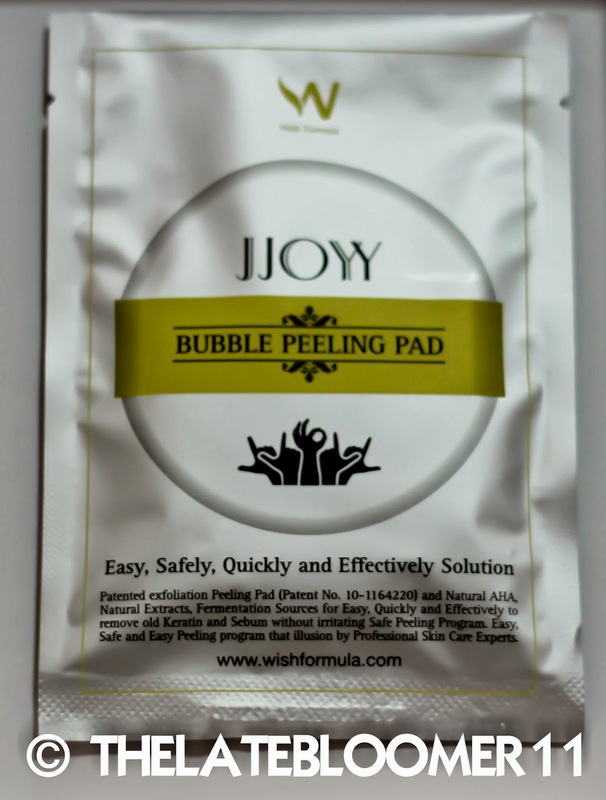 Created with an easy-to-hold handle, this patent obtained peeling pad contains natural AHA and extracts that helps to eliminate dead skin cells and smooth out fine lines and wrinkles to reveal a much healthier and luminous radiance exfoliating made easy! My Reaction: Mask, mask, mask. I really want to treat my skin to a mask right now but I feel so tired already for the day. I might just do it tomorrow before sleeping. Yep tomorrow, coz I also brought this peeling pad with me here. Hahaha. I told yah, product samples are my go-to products whenever I’m traveling. 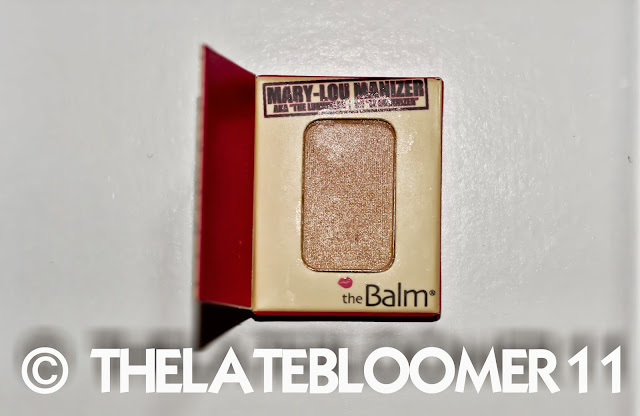 Boys best beware – Mary-Lou Manizer is on the loose! The seemingly innocent honey-hued highlighter/shadow adds a sey sheen to your finest features. Get glowing with this subtle light diffusing shimmer. My Reaction: Love, love, love, love this!!! It’s like my “stila kitten” but better because it’s not as messy to use as my stila kitten. And lately, I’m slowly getting obsessed to individual eyeshadows like this because I can easily bring it with me whenever I’m going out on a date or a vacation trip. I actually have it on my eyes tonight but I’m too lethargic to snap a quick FOTN photo, sorry. Allow your skin to be reborn again with this skin renewal formula. Suitable for all skin types including problem skin and dullness or redness, this anti-aging cream is designed to soften, gently exfoliate and rejuvenate your skin. Due to the presence of fruit acids, a slight tingling may be felt during initial applications. My Reaction: I also brought this baby with me because I don’t have any travel size moisturizer but I don’t have any thoughts about this just yet. Seduce and leave no trace with this enticing Shower & Body range! 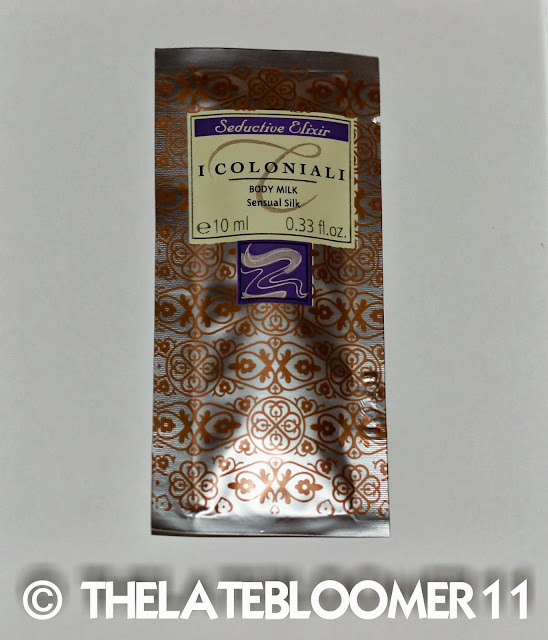 Envisage silky smooth skin infused with an exquisite and tantalizing scent – I Coloniali’s Seductive Elixir Shower & Body Range is bound to crown you as the queen of allure! My Reaction: I have nothing to say about this yet but I brought this sample with me too just in case the hotel fails to provide us any bath & body products. Good thing, they didn’t. As Tyra Banks put it, “Smile with your eyes!” But not with that pair of dull and tired looking eyes! Whatever your eye worries, your removal of dark circle/firming/red wine/wrinkle lifting eye mask will revive your dazzling gaze. My Reaction: I’m all for anything that is good to my eyes! I don’t know why, how and when it all started but I just woke up one day, suddenly so obsessed with taking care of my eyes and the areas around it – probably the reason why I’m never without an eye cream lately. And this eye mask is an excellent addition to my eye-care essentials.